A lot of people believe that the Internet is harmful for young children. Surely you have read how the internet corrodes children’s social skills, puts them at risk and contributes to illiteracy. I admit that these claims are almost true. The internet can be a perverse and filthy place and kids can easily fall prey to numerous online predators. Yet the fact remains that there are also many didactic benefits of allowing your children access to the internet. Of course you need to be vigilant and supervise their online activities. But when used properly, the internet can bring great benefits for the academic and personal development of your children. 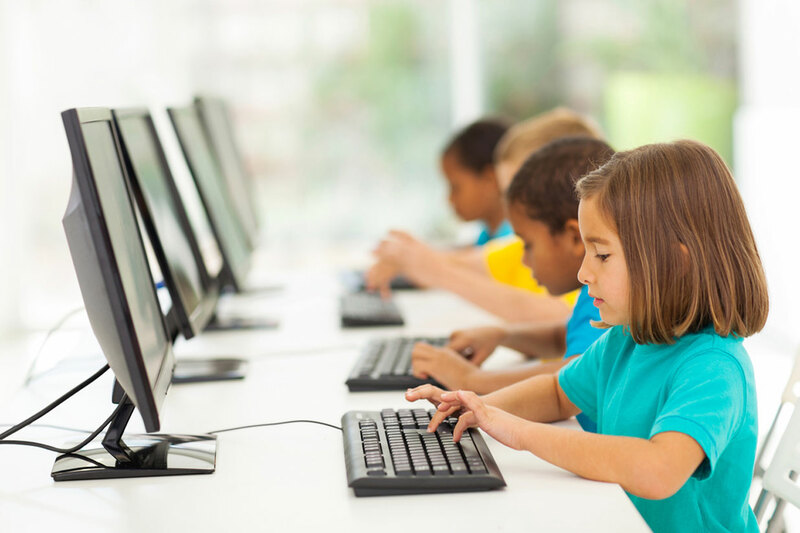 Does Internet Help Children Learn Better? We are directly or indirectly reliant on the use of computers and the internet in our daily lives. As internet can now be accessed from different mobile devices like smartphones, tablets and laptops, modern technology can encourage creativity and innovation in our kids. Nowadays, our students mostly learn through computers and internet, be it in schools or in homes. Schools are now incorporating the blended learning approach, which helps children to complete their assignments using the internet. This also helps them to learn faster. But How Does The Internet Make Your Children Smarter? By the time children become 2 years old, 90 per cent of them already have a history online. By the time they are 5years old, 50 per cent of kids have used some kind of an internet connected device like the tablet. By the time they become 7 or 8 years old, most children play video games frequently. This goes to show that using modern technology and the internet from an early age makes children smarter and more technology oriented. Transactive memory, which refers to gathering information from other sources, is now easily accessible thanks to search engines like Google. It helps children (and even grown-ups) to gather information about something they want to learn and find answers to different questions. Internet helps kids to be proactive when searching for information, instead of waiting for the teacher or instructor to provide the answer. According to studies, computers and internet have resulted in increasing IQ in 4-5 year old children by an average of 6 points. The internet enables kids to know about the difference between reliable information and misinformation. By using the internet frequently, children learn to think critically and find out useful information from the internet. Different types of games that are easily available online helps children to develop and apply abstract math related concepts. The internet has significantly contributed in increasing the interest of children in reading books and texts. According to scholastic study, around 62 per cent of children prefer to read printed books instead of online editions on the internet. Most children tend to use the internet to gather more information about books and also to learn about new books, authors, researches etc. The studies show that as students tend to be engaged in more writing activities by using their computers (especially for social networking sites, blogs, texting etc), it has significantly contributed to improving their writing abilities. When compared to the papers of students from 1986, the composition papers of 2006 students demonstrate better length and complexity, as per a study conducted by the Stanford University. It is due to the increased use of technology, students can now write better and easily note down their thoughts and ideas. Social skills of children can greatly improve by appropriately using instant messaging, email and social networks. These options enable students to connect with other students and share useful information and learn about various regions, cultures and customs across the globe. Teen students who use social media often claim that interacting with others online have made them more confident, sensitive, sympathetic and less shy. How Can You Ensure Your Child Stays Safe Online? As mentioned earlier, there are various dangers on the internet that your child might succumb to. As a parent you will need to monitor your kid’s internet usage. It is important that you get involved and find out what they do online. You can easily block inappropriate websites and use parental control to ensure that your child is safe from the ill effects of the internet. You should also inform your children about the various dangers they might face online and teach them about the safety measures as well. This entry was posted in Education, online education and tagged AVG, Internet, Internet and Children, smartphones, Stanford University, Transactive memory. Bookmark the permalink.